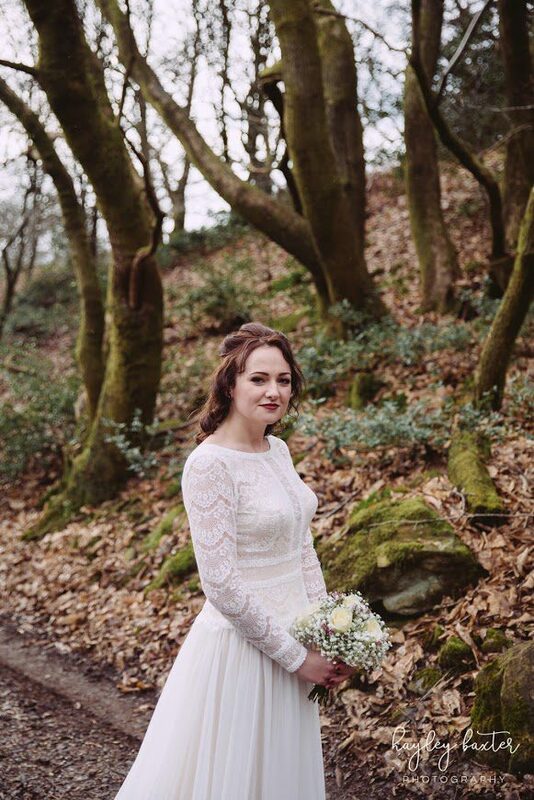 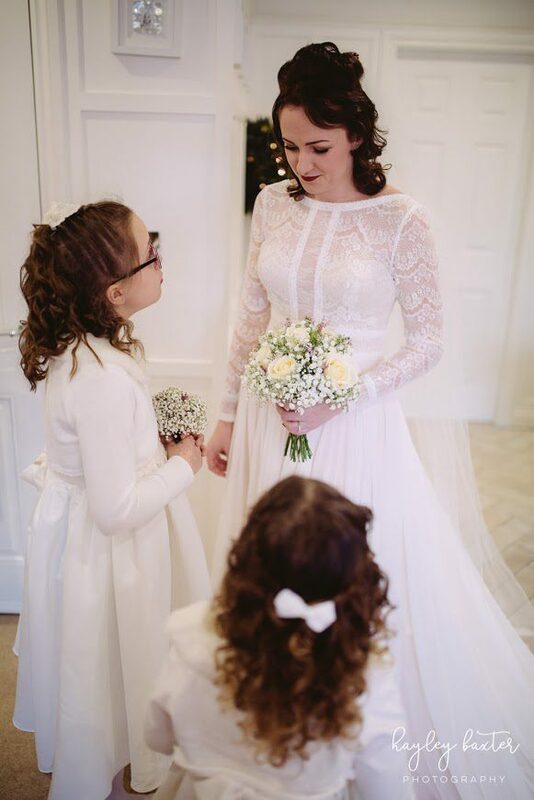 Our bride Rebecca spotted her dream dress in a magazine, the Deirdre gown by Maggie Sottero ticked every box for her rustic wedding at The Wild Boar in Windermere this February. 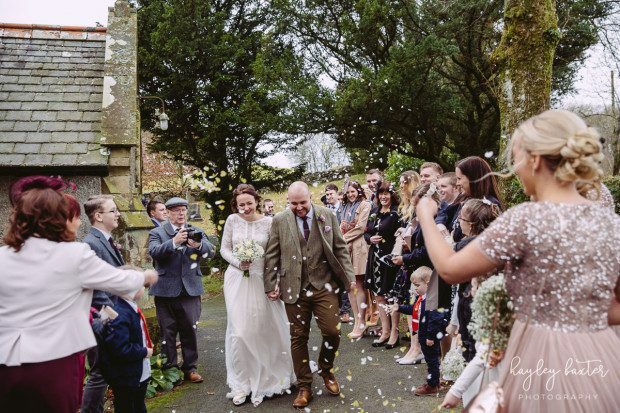 Rebecca and husband Sam opted for a a cosy vintage style wedding with beautiful rustic touches. 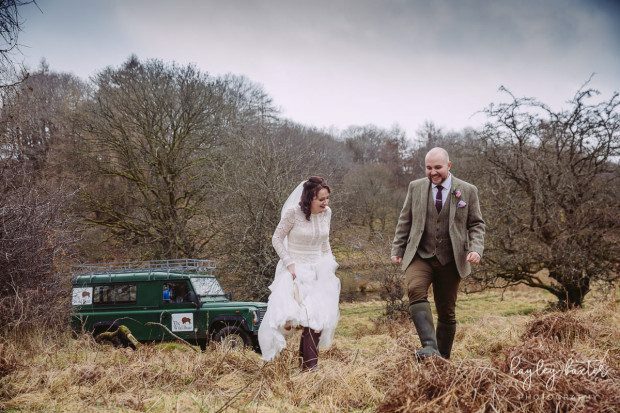 Beware there is a huge dose of cool styling with some wellies and a 4×4! 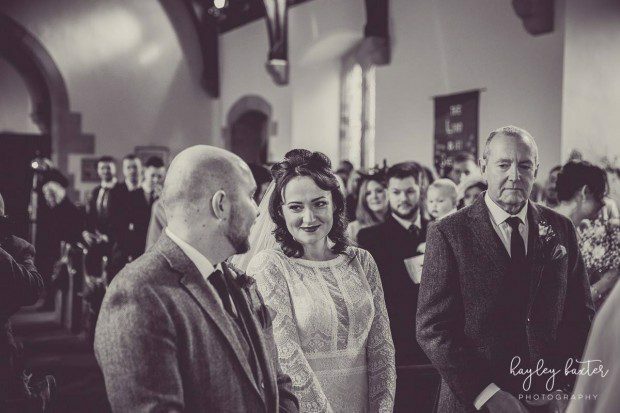 We are so thrilled to bring you the details of Rebecca and Sam’s gloriously warm an welcoming vintage wedding. 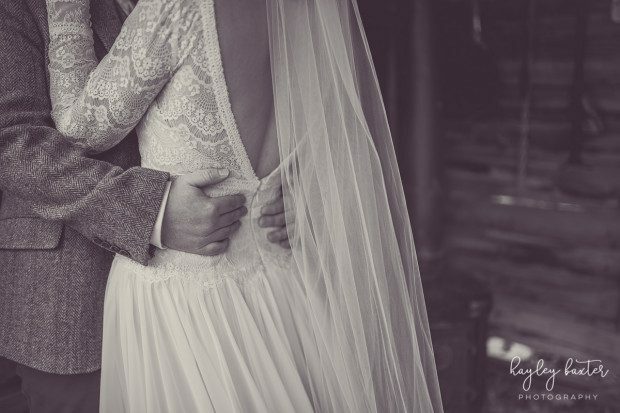 Photography by Hayley Baxter.